Sure, there are plenty of garden privacy ideas out there. However, if you are short of budget, then these ideas may not work well for you. The good news is that there are actually plenty of low budget, yet attractive garden privacy ideas that you can take inspiration from. Refer to the list below for some of the best privacy ideas for your garden. One of the most cost effective ways to provide privacy to your garden is to grow hedge. However, if you want your fence to be attractive, you should choose the right plants to grow. 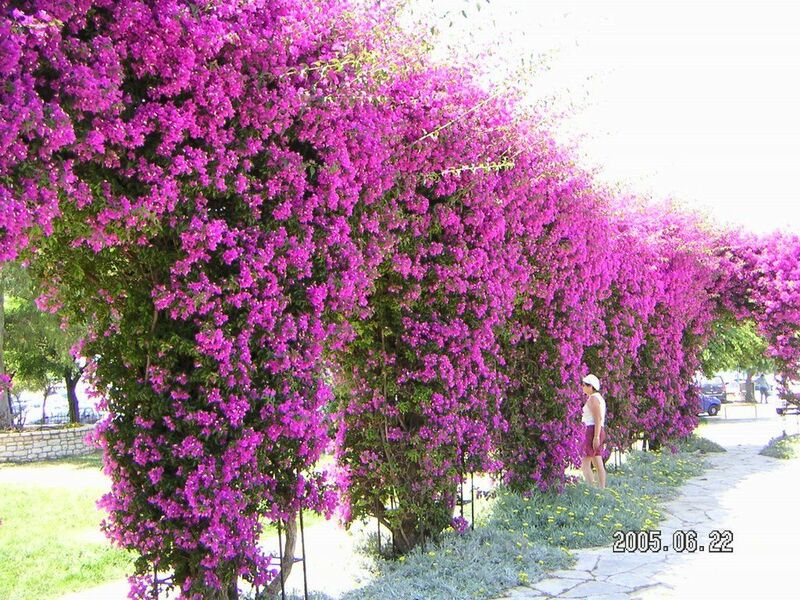 Thus, the use of bougainvillea would be the best way to go. They are decorative and showy. Moreover, they produce beautiful blooms all throughout the entire year. Hence, they will not only give you the much-needed privacy, but will make your garden look attractive as well. Another artistic and smart idea to give privacy to your garden is with the use of logs. This idea should not cost you a lot of money since logs do not really cost a lot. In fact, you can make use of some leftover logs for this idea. As shown in the photo above, you simply have to arrange the logs in circular form at a specific area in your garden. Install some tables and chairs, and you now have a mini patio in your garden! What better way to save money on your garden privacy than to make use of repurposed shutters? This DIY shutter fence is so easy to follow. Simply paint your old window shutters with any bright color. For instance, you can go with brilliant blue such as the one shown above. Hang a blue birdcage as well for a more artistic look. Ornamental grasses will work great as a privacy fence for your garden. Of course, you need to choose something attractive to make your home facade to stand out. Thus, this Pink Muhly grass would make for a perfect fence covering. 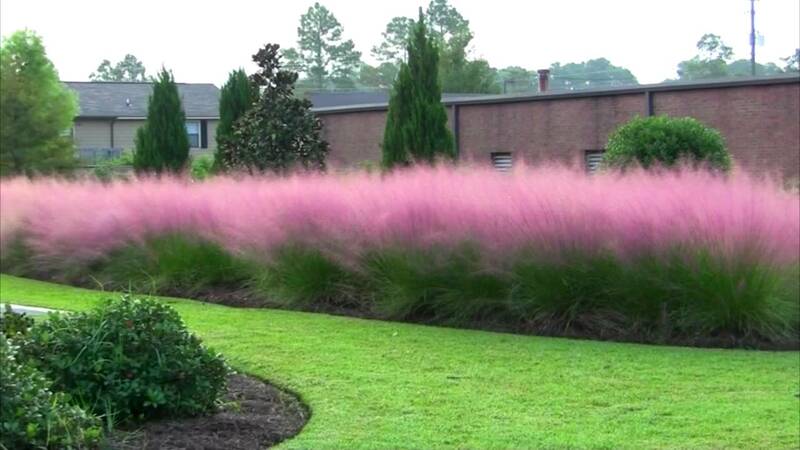 Moreover, if you are on a tight budget and love gardening, then growing the Pink Muhly would be a great idea. This DIY garden privacy screen is so easy to make! All you need is some wood, a mesh screen and some basic carpentry skills. 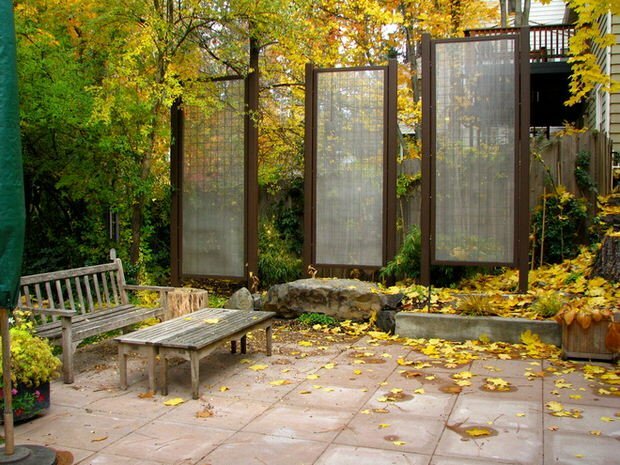 Otherwise, you can repurpose those old window screens and transform them to a privacy fence. Indeed, this mesh screen fence is one of the most cost effective and attractive privacy ideas that can work well for your garden. Another way to save money on your garden fence is to make use of those twigs in your backyard. Else, you can check out those stores selling decorative twigs. These should not cost a lot of money. Aside from being cost-effective, they look really attractive since they complement with the plants and trees in your garden. The use of bamboo trees for fencing is also a good idea. Not only are the bamboos strong, they look attractive as well. Moreover, they are considered renewable resources and can be used in home constructions too. There are plenty of bamboo tree varieties that you can grow at home. They love humidity a lot so they can surely thrive well when planted outdoors. As mentioned, the most cost-effective way to provide fencing for your garden is to grow a hedge. Aside from the bougainvillea, another attractive option is the Hibiscus. In fact, Hibiscus is known for producing spectacular blossoms. Thus, they can surely make your garden to stand out, aside from providing it’s much needed privacy. They are available in most nurseries and growing them should not be that difficult. When it comes to privacy planting, the English Ivy plants would be a great choice. However, if you are like most people who don’t have the luxury of time to tend to your plant, why not go for the faux varieties? 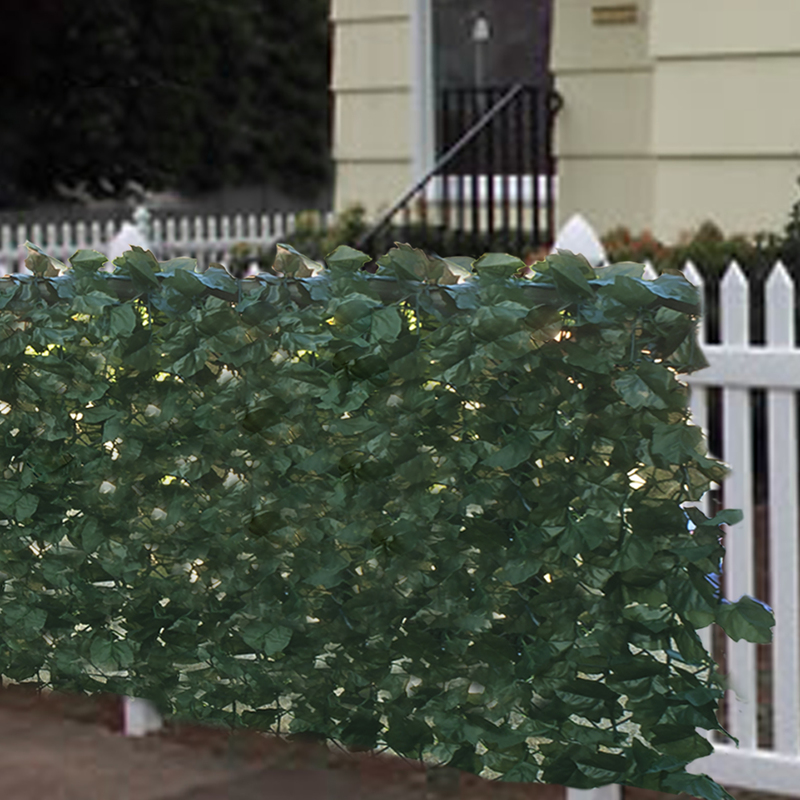 This faux ivy privacy fence can be bought online and is extremely easy to install. Unlike the real ones, these do not require any watering or fertilizing. Thus, it saves you both time and money. 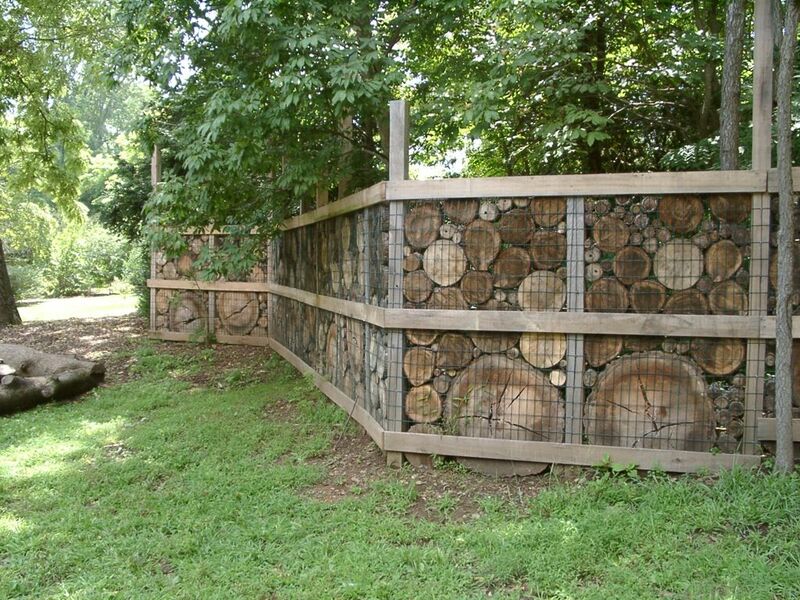 This is another DIY fence covering that makes use of logs. Aside from logs, you also need a mesh screen and some wood. With basic carpentry skills, this garden fence should be easy to come up with. It might require a lot of effort and time, but as you can see above, it sure is worth it! Growing lots of shrubs and hedges in your garden is also a great way to give it some privacy. The good news is that you will have plenty of options when it comes to privacy planting. You can go for Boxwood, Cherry Laurel, Clematis, Emerald Greens and many more. Most of these plants are easy to grow and maintain. Thus, you don’t need to have a green thumb just to successfully grow them. 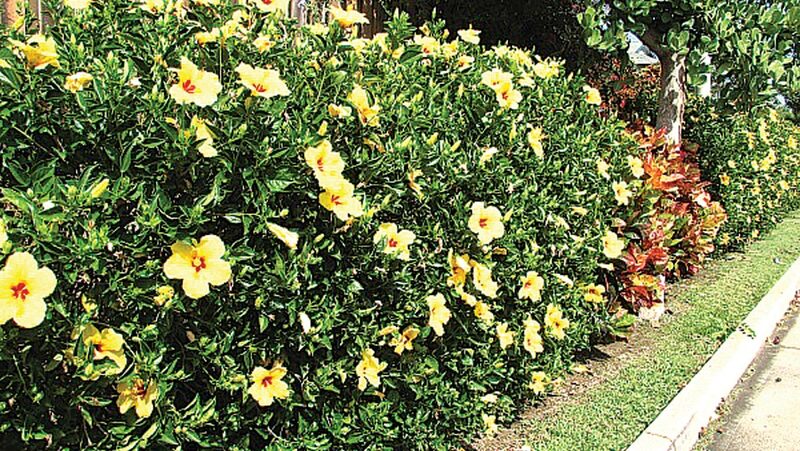 Speaking of shrubs and hedges, the Rose of Sharon is a flowering shrub that is commonly used for privacy planting. Line the plants in your garden to create a privacy fence. You can start planting them in spring or fall and they tend to leaf out late in springtime. They produce lovely blooms, and in order to encourage larger flowers, consider cutting back about three buds per branch. Growing these evergreen tall trees in your garden is also a great way to provide privacy fencing for your home. There are lots of fast growing evergreens that you can use for privacy planting. Aside from providing privacy, most of these trees can provide some shade to your garden. Thus, if you love to host parties and dinners in your garden, then growing these trees would be a great idea. If you want to build some garden privacy panels without spending a lot of money, then using recycled pallets would be a great idea. Creating this DIY privacy fence should be easy. 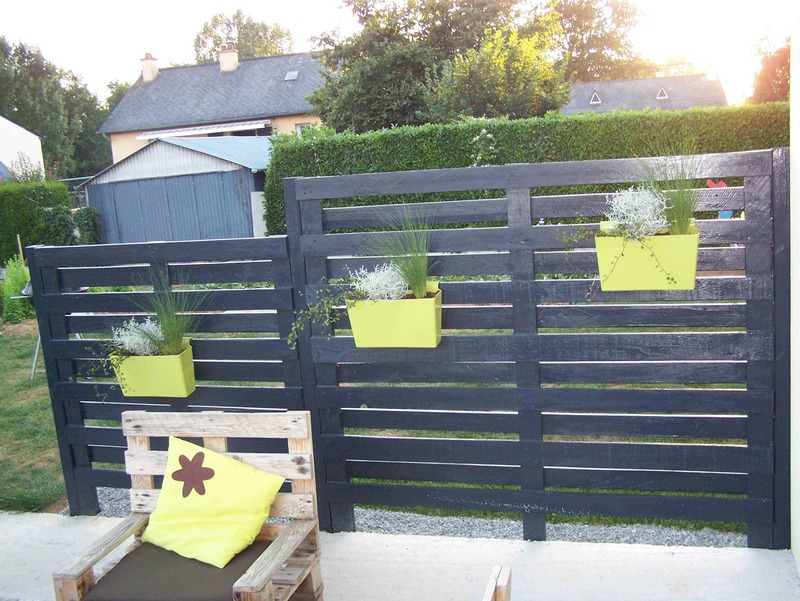 All you need are some wooden pallets that you can convert into panels, as shown above. Next, paint it with a color of your choice then hang some colorful potted plants. Finish up the look by installing some wooden chairs, similar to the pic above. If you want lots of color for your privacy fence, then grow some trees and add lots of flowering plants. You can choose from a wide range of plants that produces really beautiful blooms. There are those that require minimal care while others would require lots of your care and attention. If you have a green thumb, then coming up with this kind of garden fence would sure be fun. Wood fencing provides a rustic charm to your garden. Moreover, this is also a perfect choice for those who are in need of a low budget garden fence. You can probably find lots of wood materials that you no longer use in your backyard and convert it to a fence. Otherwise, visit your local building site and see if you can purchase secondhand wood. 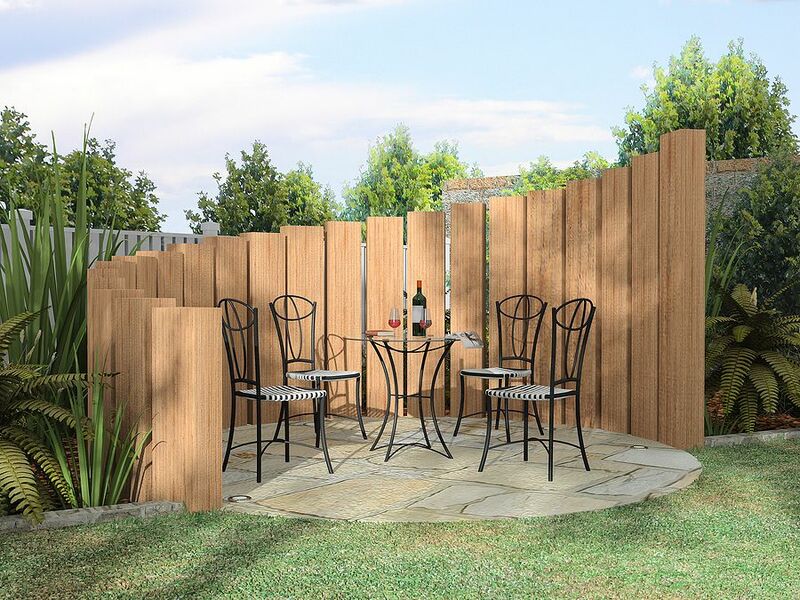 Indeed, this privacy fence is simple, yet exudes elegance. Another great choice of plants for privacy planting is the cactus. As you may probably know, cactus plants do not require lots of watering in order to grow. However, you need to make sure that you choose those varieties that can grow so tall. These plants might grow very slowly, but they are definitely worth it. If you want, you can also integrate them with other shrubs or hedges. If you want a durable, attractive but cost-effective fencing for your garden, then consider the use of bricks. You can install it on your entryway or in some place in your garden. Installing the fence might seem like a daunting task, but doing so is really worth it. You may also choose to hire professional fence installers to get the bricks installed if you feel that you are not capable of doing so. The cost of materials should be cheap and hiring installers don’t cost a lot of money. A picket fence is not only attractive, but it also gives your garden a traditional look. To save money in building this type of fence, you can visit a demolition site or a salvage yard to check if they got any leftover materials that you can use. Otherwise, you can purchase some cheap wooden logs that you can make into a fence. Picket fence is easy to build. However, it will require routine maintenance, such as painting, in order to maintain its great looks. Bamboo is known for being aesthetically pleasing, durable and environmentally sustainable too. 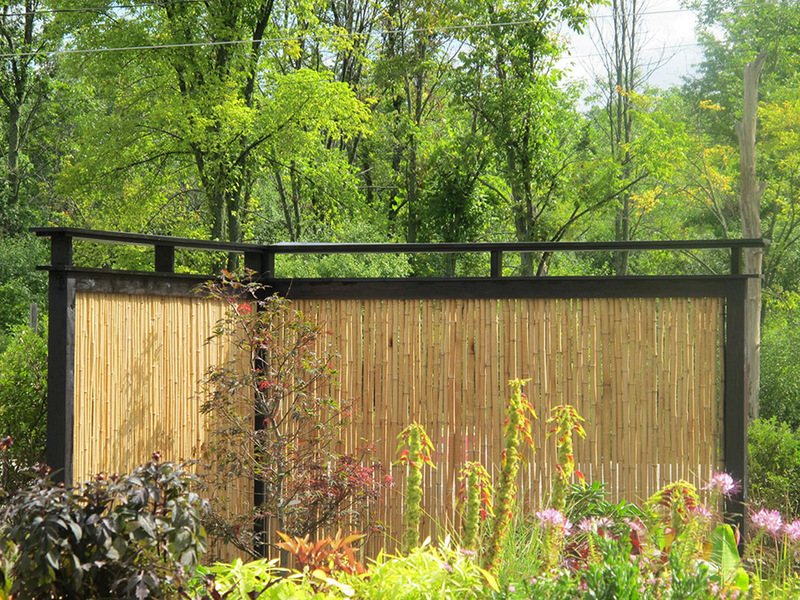 It’s no wonder why the bamboo privacy screen is among the most sought after garden privacy ideas. This beautiful fencing can transform the ambiance of your garden and enhance the landscape without having to spend lots of money. Stone is actually more of a wall than a fence. However, it can certainly make for a perfect privacy covering for your garden. Depending on which area you live, you should be able to find an inexpensive source of stones that you can use as a garden wall or fence. You can refer to the photo above for inspiration. Otherwise, you can hire a company that can source the stones and build the wall for you. As mentioned, growing evergreen shrubs as privacy fence for your garden is a great idea. Another shrub that is perfect for privacy planting is the Italian Buckthorn. Since it is taller than it’s wide, the shrub can be perfectly placed right in front of a concrete wall or other structures that do not need complete coverage. Moreover, the shrub is known to grow quickly and its upright formation makes it a perfect choice for a garden privacy screen. 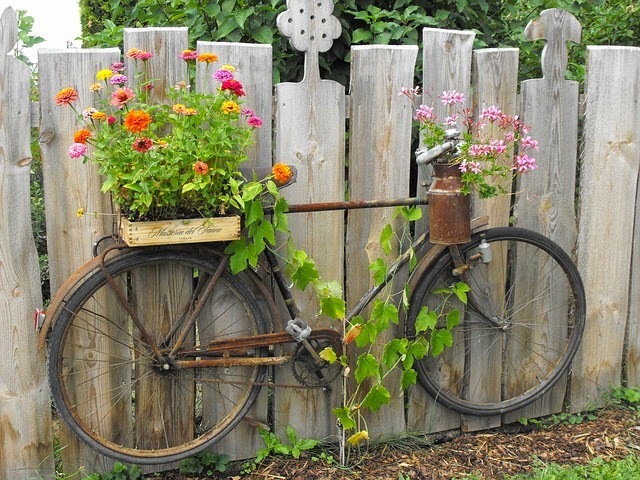 Another artistic way to provide privacy to your garden is the use of reclaimed wood and a decorative bike. As shown above, this DIY project is just easy to make. Yet, it looks really creative and will give your garden a beautiful rustic charm. All you need are some leftover wood, and an old bike that you can salvage from a junkyard. Boxwood is another evergreen shrub that can make for a perfect fence covering. However, if you’re someone who is not into gardening, maintaining the shrub might be tedious. Thus, your best bet is to go for the artificial ones. The photo above is a great idea if you want to make use of the artificial Boxwood shrub for your fence. 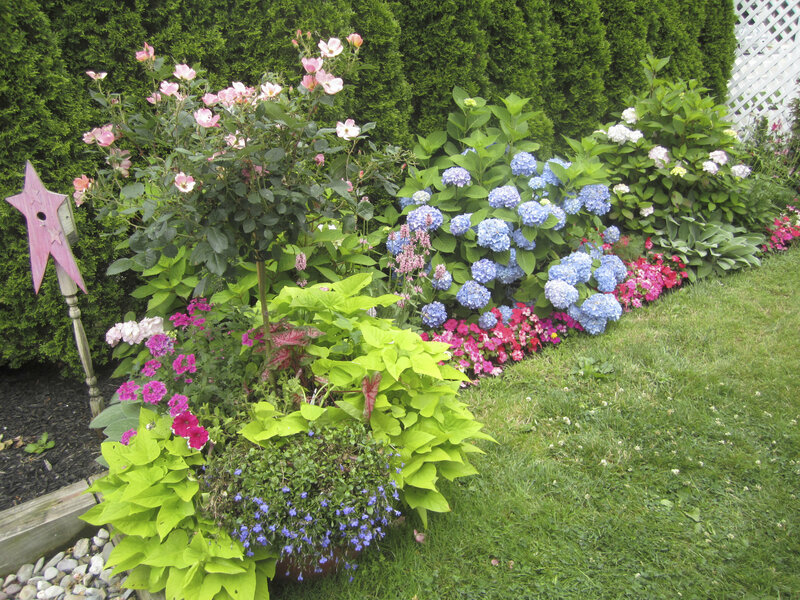 Another way to add more color to your garden while giving it its much-needed privacy is to line it with flowering shrubs and hedges. Aside from the hibiscus, bougainvillea and the Rose of Sharon, there are several other flowering plants that you can grow for privacy planting. Just make sure you know how to care and maintain them to ensure successful blooming. Bamboo is certainly a perfect choice for hedging. 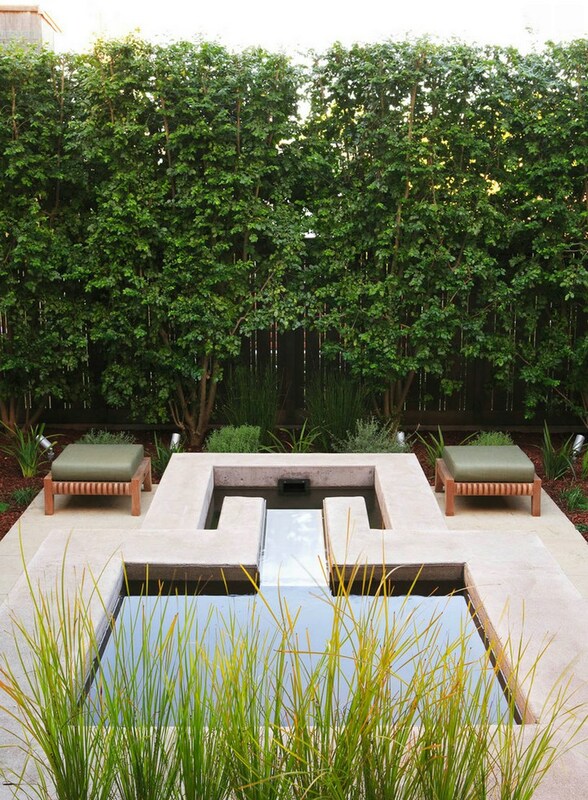 It adds privacy and modern style to any outdoor spaces, including your garden. However, it’s important that you choose the right variety of bamboo to grow. There are others that are invasive and hard to maintain. But if you choose the right variety, such as the Fargesia as shown above, it can be cared for easily and can make your garden to stand out in no time. It’s important to note that tall and lush hedges could take years to grow, even those that are fast growing. But if you have the time, patience and if you consider yourself a garden enthusiast, then growing the Privet as privacy fence is a great idea. It provides for a stunning covering in your garden and is really worth the wait. There are several varieties of holly trees that can make for an excellent privacy in your garden. Available as dense shrubs or tall trees, the Holly provides something that can satisfy any of your landscaping needs. The plant is also known for its signature spiny and sharp leaves. Thus, homeowners with small kids and who have sensitive hands should go for the soft leafed varieties. 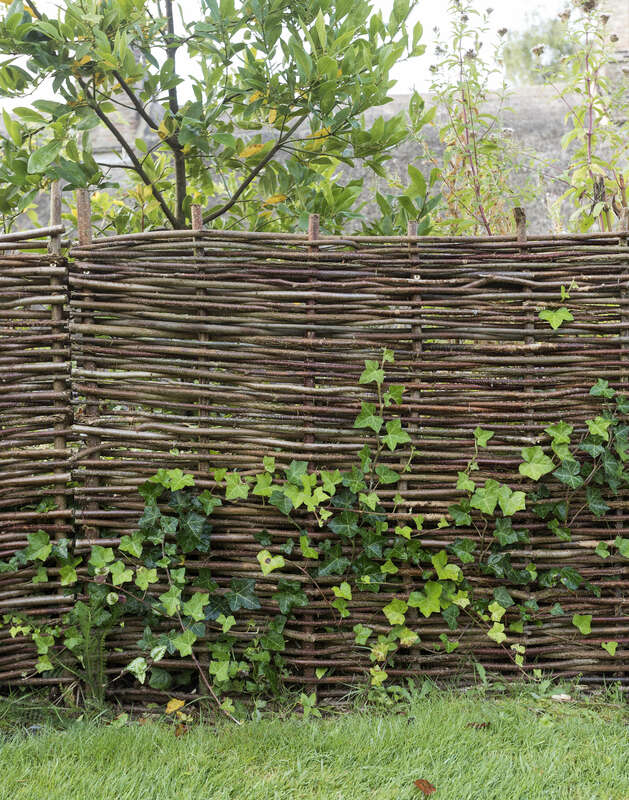 Another way to make your garden to stand out is to install this woven wooden fence as garden privacy panels. You can make your own using some twigs that you can salvage in your yard. Otherwise, you can purchase readymade wooden fences that have woven designs similar to what’s shown above. 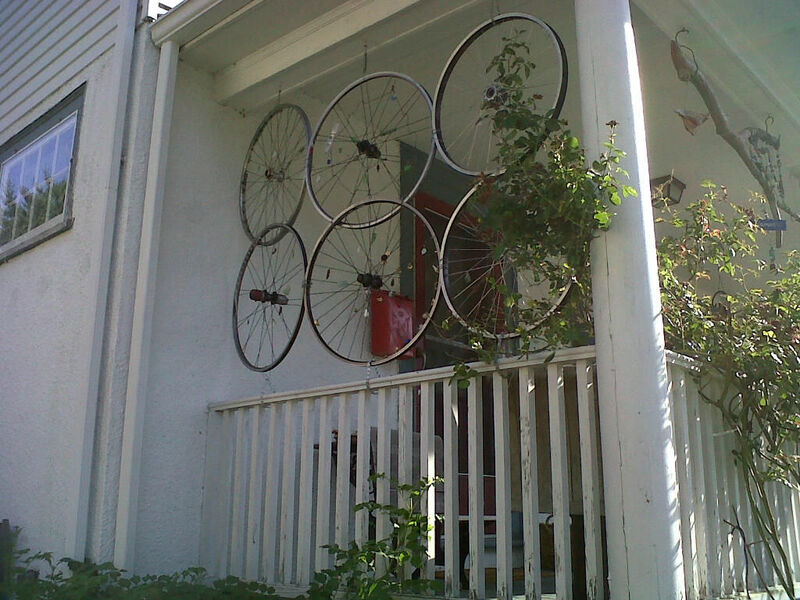 There are so many ways in which you can recycle bike rims for your garden. Sometimes, they are being converted to planters. In some cases, they are used as decorative pieces. And as you can see above, they can also be used as garden privacy panels. You can leave them bare or you may grow wall-climbing plants and use them as trellis for added privacy. Another artistic garden fence design that makes use of recycled items is the use of bottles. Simply collect some used bottles and install them in similar fashion as shown above. The bottles are attractive and colorful and can surely make for an attractive fence in your garden. As you see, there is indeed a long list of garden privacy ideas that you can consider if you want an attractive but low budget fence for your garden.